WordPress can do a lot if you know how to build your dream blog or site properly around this platform. If you think that you’ve already comprehended the basics of WordPress and want to dig further for advanced applications, we’re here to direct you to the list of the best Advanced WordPress Books available. If you search on the web or in the local book stores, you surely will be provided with a great number of books on Advanced WordPress applications that, at the first sight, may appear almost indistinguishable from one another to you. So, you may get perplexed and confused about which ones to go for and which ones to reject. To help you out and minimize your confusion and wasted efforts, we’re here to provide a guide to some of the best offerings on the most practical Advanced WordPress books that you should go for if you want a better grip on Advanced WordPress functionalities as a whole. WordPress is the most popular self-hosted open source website software in use today, and the latest version makes it even simpler to operate. Packed with real-world examples for load balancing and multiusers, this esteemed resource replaces some of the more basic material with more advanced content. Every single chapter has been reworked to provide the most current and proper methods for developing and designing in WordPress. You will learn how to build themes from scratch, how to monetize the themes you create, and how to capitalize on this by creating advanced themes for your clients or selling premium themes. This book builds on your current knowledge of PHP and web development to create a WordPress theme from scratch. It uses a real-world theme example that you can build, to demonstrate each feature in a practical way. It shows you how to take control of WordPress with custom posts types and taxonomies, and covers anatomy and hierarchy, use of the loop, hooks, short codes, plug-ins and much more. The trio of established authors provides a practical, solutions-based approach along with a collection of timely examples and plenty of code, all aimed at clearly explaining how to create a plugin file, work with users, integrate widgets, add menus and submenus, secure your plugins, and more. You will quickly come to understand how to develop custom plugins so that you can take WordPress to the next corporate and enterprise level. Whether you’re a budding blogger or web development professional, WordPress is a brilliant tool for creating websites. This jargon-free Missing Manual shows you how to use WordPress and its themes, plug-ins, and widgets to build just about any website you can imagine, from a classy blog to a basic e-commerce site. As the most popular open source blogging tool, WordPress is being used to power increasingly advanced sites, pushing it beyond its original purpose. In this unique book, the authors share their experiences and advice for working effectively with clients, manage a project team, develop with WordPress for larger projects, and push WordPress beyond its limits so that clients have the customized site they need in order to succeed in a competitive marketplace. 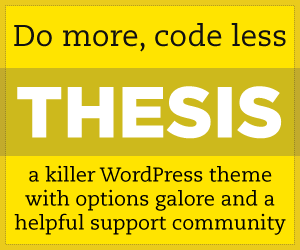 WordPress: Pushing the Limits encourages you to benefit from the experiences of seasoned WordPress programmers so that your client’s site can succeed. As one of the hottest tools on the web today for creating a blog, WordPress has evolved to be much more that just a blogging platform and has been pushed beyond its original purpose. With this new edition of a perennially popular WordPress resource, Smashing Magazine offers you the information you need so you can maximize the potential and power of WordPress. WordPress expert Thord Daniel Hedengren takes you beyond the basic blog to show you how to leverage the capabilities of WordPress to power advanced websites. Smashing WordPress, Third Edition teaches you how to make WordPress look any way you like:from a corporate site to a photography gallery and much, much more! Legions of web designers and developers are choosing WordPress for building sites. That’s because it’s powerful, reliable, flexible, scalable—and more. This book is your complete guide to mastering WordPress theme development, covering everything from installation to leveraging the community and resources to improve your WordPress skills for years to come. With detailed explanations, real-life examples, and step-by-step tutorials, you’ll find everything you need to build and deploy WordPress-powered websites with no prior server-side or WordPress development experience. WordPress Theme Design Complete Guide will take you through the ins and outs of creating sophisticated professional themes for the WordPress personal publishing platform. It will walk you through clear, step-by-step instructions to build a custom WordPress theme. From development tools and setting up your WordPress sandbox, through design tips and suggestions, to setting up your theme’s template structure, coding markup, testing and debugging, to taking it live it reviews the best practices. Whether you’re working with a pre-existing theme or creating a new one from the ground up, WordPress Theme Design will give you the know-how to understand how themes work within the WordPress blog system, enabling you to take full control over your site’s design and branding. WordPress In Depth is the most complete, coherent, and practical guide to succeeding with WordPress 3.1 and WordPress.com’s hosted services. The authors help you efficiently design, secure, and manage your blog, and add powerful features to attract visitors and build thriving communities. Get comfortable with WordPress, leverage its immense power, and customize it to your unique needs. WordPress is a popular, powerful, and open Content Management System. Learning to extend its core capabilities allows you to unleash its full potential, whether you’re an administrator who cannot find the right extension, or a developer with a great idea to enhance the platform for the community, or a website designer/developer working to fulfill a client’s needs. Create WordPress plugins of varying complexity, from a few lines that change a specific function to complex extensions that provide intricate new capabilities.